The Delhi State Consumer Disputes Redressal Commission found a popular fitness chain guilty of inappropriate services. As the gym had set a time-limit on the usage of the treadmill for its members, this fixed time-limit worsened the quality of services. The commission asked the chain to pay Rs 2 lakh each to its complainants as punitive damages. Unfortunately, this is not a single incident where a case has been filed against any healthcare facility. As the owner or employee of the fitness centre, you are helping your clients in learning different ways to improve their health and get into shape. Under your guidance, your clients are successfully meeting their weight-loss goals. But irrespective of the fact whether you work in a health club, gym or own a fitness studio, your services are always associated with specific risks. What happens if your client injures itself while acting upon your advice? You could be hit with an upsetting lawsuit for the losses which they might have suffered. To safeguard yourself and your business, you require a safety net which is available in the form of malpractice insurance, i.e., gym insurance. 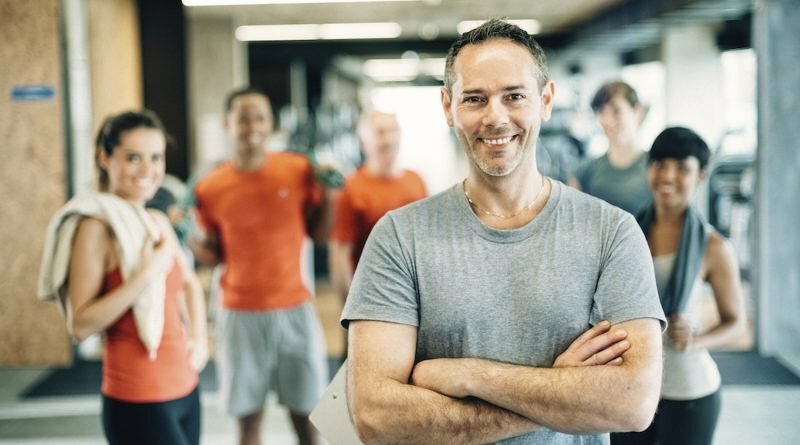 Why is Gym Insurance So Important for Fitness Professionals? Carrying sufficient gym insurance is necessary for fitness professionals because they can be at risks for liability claims every day. Fitness professionals can be held responsible not only for their actions but also for what they say or don’t say while instructing. It means clients can claim that they have not been properly instructed on the usage of the equipment or for performing the stretching activity. You could be sued for any negligence. Negligence essentially refers to the failure to give the degree of knowledge, skill, which any other skilled professional would have given under similar circumstances. Moreover, fitness professionals can also be sued for nutritional or health advice and recommendations which they impart to their clients. Illness or injury which result from any of these aspects can also give rise to claim. A serious or life-threatening illness or injury can turn into a hefty claim if the claimant or their legal heirs file a legal suit. All these expenses can easily trouble any fitness professional or health centre. While you can act cautiously and diligently at work, malpractice insurance or gym insurance is what you need to get financial coverage for such losses or damages. What is Not Covered By Gym Insurance? How to Buy the Right Malpractice Insurance? Once you have understood the need of having a malpractice insurance for your fitness business, next is to find the right policy. Here, SecureNow, a leading corporate insurance advisor, can help you. To obtain the gym insurance quotes from leading insurers, you would only need to enter some basic details about your requirements and SecureNow would give you gym insurance policy quotes which you can compare to find the best policy. Moreover, the experts of SecureNow would not only help you in getting multiple gym insurance quotes, but they would be there at the time of claim as well. Just like you insure your house, vehicle and other assets which you have acquired in years, make sure to purchase malpractice insurance as well. You might be well-trained, careful and follow all the best practices, but that doesn’t mean that you are protected from unfounded lawsuits. Also, remember, malpractice insurance is not what every fitness professional should buy one-time when they start working at a health club or studio. It is necessary that both full-time and part-time fitness professionals should carry gym insurance at all times without lapse in coverage. The future is uncertain, and you never know, when you become the next victim of this uncertainty.